Plastics can be a way to stock your things in order. You can use them to serve as containers like pencil and crayon holders, food packs, or even coin banks. Making DIYs out of them are a lot easier. All you need to do is to style it. Follow some inspirations on websites like Pinterest and Youtube since there are a lot of creative ideas there to follow. Aside from decorative containers, elders can help recycle by using plastics as home decorations. They can use it to do various DIY projects that certainly bring more spice to your home. There are a lot of ideas on how to make them. Look for inspiration by checking out websites like Pinterest and Youtube. Don’t you know that empty water bottles can also be used as inflatables? 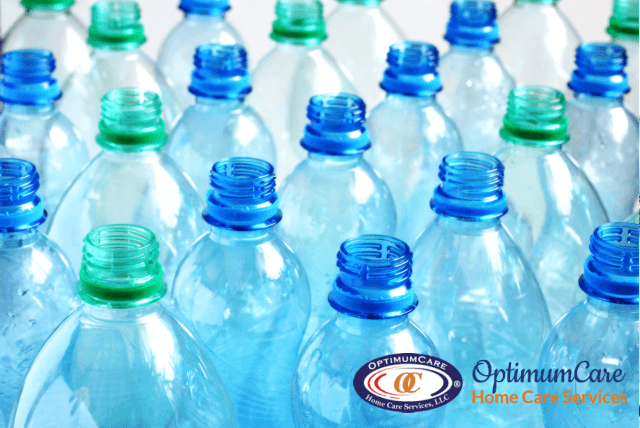 Because of the air that was stored and contained in plastic bottles, you can attach them to any flat surface and then throw it away into the water to check if there is buoyancy. If there is, then your inflatable is ready for use. There are a lot of ways to do DIY projects using plastics. In order for them not to be thrown away elsewhere, collect them and think of new ideas on how to reuse them. Right now, we need to make a move to help Mother Nature. We need to make sure that in our own ways, we can help them and we can contribute to the goodness of the society and the environment. We at OptimumCare Home Care Services, non-medical home care in VA, are reminding everyone that this coming Earth Day on April 22, everyone should continue to fight against climate change and environmental problems. For more details about OptimumCare Home Care Services, non-medical home care in Opitz Boulevard Woodbridge VA, call us at 703-490-8003 or visit our website at www.optimumcarehomecare.com. This entry was posted in Non-medical home care and tagged companion services, home care, Personal Care, recycle, skilled nursing. Bookmark the permalink.